Based in Toronto, and with operations in the US and the UK, Wealthsimple is a Canadian based robo-advisor. The platform was launched at the beginning of 2017, and now has more than $4 billion in assets under management and 120,000+ clients internationally. Every time I update this review, I’m impressed with the new features. If you’re looking for a robo-advisor that offers a lot, read on. The firm is backed by $165 million in capital provided by the Power Financial Group, a financial holding company with $1.4 trillion in assets under administration. Wealthsimple is staffed by a team of software engineers, designers and data scientists, out of prominent tech companies such as Amazon, Google and Apple. As is described in Wealthsimple reviews and typical of robo-advisors, Wealthsimple creates portfolios based on sound investment research, and provides automatic rebalancing and dividend reinvesting, as well as tax-loss harvesting. Wealthfront investing includes a globally diversified portfolio of low-cost index funds. Yet, there is so much more! Overview Automated investment management robo-advisor platform, covering everything from portfolio allocation to automatic rebalancing, dividend reinvesting, SRI and Halal investing. Minimum Investment Amount No minimum initial investment required. Fee Structure First $15,000 managed free with signup from this website. Then 0.50% AUM up to $100,000. For accounts valued over $100,000, 0.40% of AUM. Top Features Human financial advisor advice at all levels. Socially Responsible Investing (SRI), and Halal investing consistent with Islamic principles. High yield savings account. Spare change roundup. Free Services Free Portfolio Review of your non-Wealthsimple financial accounts to evaluate fees and tax efficiency. Contact & Investing Advice Phone or text, Monday through Friday, 8:00 am to 8:00 pm Eastern Time. Email 24/7. Investment Funds Diversified index funds from 10 different asset classes on regular portfolios, with six in the SRI portfolio; the Halal portfolio includes the stocks of 50 different companies. Accounts Available Individual and joint taxable accounts; trusts; traditional, Roth, rollover and SEP IRAs. Wealthsimple Competitors – How is Wealthfront Unique? This Wealthsimple review highlights several unique features, seldom found combined in one digital investment manager. Free Financial Advisor Advice. All Wealthsimple customers have access, during normal business hours to consultations with a Certified Financial Planner. You can plan a consultation, to fit in with your schedule. Wealthsimple is the only robo-advisor with no minimum investment requirement that offers financial advice. Socially Responsible Investing. Although not the only robo-advisor that offers impact investing, Wealthsimple SRI has a comprehensive take on the strategy. The SRI strategy invests in Exchange Traded Funds (ETFs) that track the global economy and are weighted according to environmental and social impact along with performance. Wealthsimple Free Portfolio Review. This free service that provides an objective evaluation of your entire financial portfolio, exclusive of your holdings with Wealthsimple. They evaluate your investing fees, as well as the tax efficiency of your account, and will make appropriate recommendations. This gives Wealthsimple a more holistic position on your investments than is typical for many robo-advisors. Take a look around the Wealthsimple Site now! Wealthsimple Halal Investing. There are 3.45 Muslims in the US today and are expected to reach 2.1% of the population by 2050, according to the Pew Research Center. The Halal investing option complies with Islamic investing principles that include screening by Sharia scholars, no gambling, smoking, arms or related companies, and no business that derives most of their income from loan interest. Wealthsimple Trade. (Available in Canada) This stock-trading service lets you buy and sell stocks and exchange-traded funds (ETFs) through a simple mobile app, with $0 commissions and no account minimums. The Wealthsimple Trade app, for Canadians only is available to anyone, whether you have a Wealthsimple robo-advisor account or not. For U.S. investors, M1 Finance also allows free stock and ETF trading. Who Benefits from the Wealthsimple Robo-Advisor? 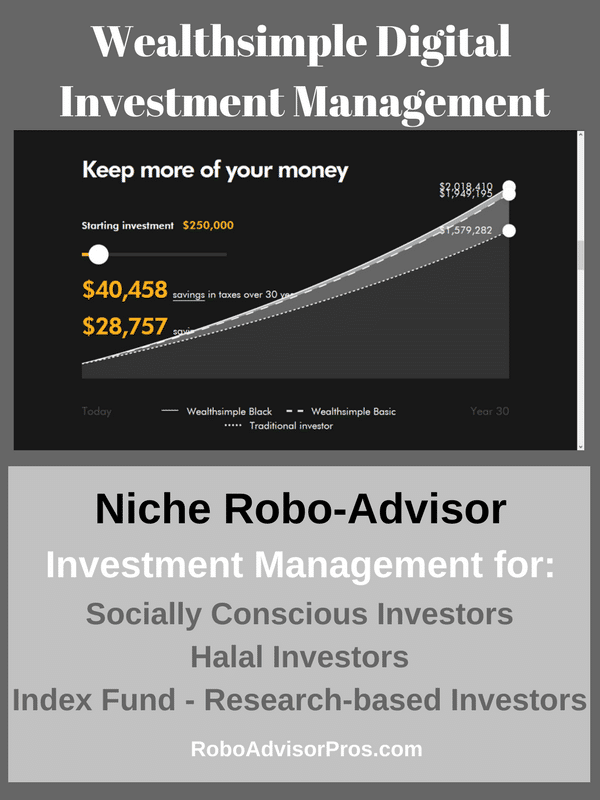 A robo-advisor compliant with Sharia law (the Halal Portfolio – see below). Wealthsimple even offers specialty services for the high net worth investor, for a low fee. Wealthsimple Plans – How Does Wealthsimple Work? All investors, regardless of the plan, have access to a free portfolio review, human advisors, investment rebalancing, socially responsible investing and tax-loss harvesting. 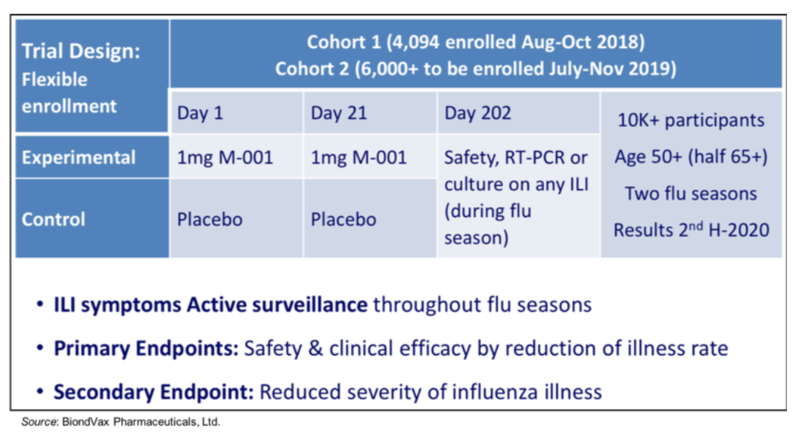 Beyond the basics, there are various features at each plan level. For investors with diverse asset levels, Wealthsimple offers three plans with distinct fees and services. Conservative portfolio, 65% bonds and 35% stocks. Balanced portfolio, 50% bonds and 50% stocks. Growth portfolio, 80% stocks and 20% bonds. This option is great for the investor who’s just getting started, has some investing questions and wants help from a financial advisor. It offers quite a lot for the 0.50% AUM fee, significantly lower than the amount most financial advisory firms charge. What is the Wealthsimple Black Portfolio? This plan includes all the services of Wealthsimple Basic, plus more. Wealthsimple Black uses the same portfolio allocations as basic, but provides special perks for larger investors. You must have a minimum of $100,000 to be eligible for the Wealthsimple Black portfolio. An annual management fee of 0.40%, representing a 20% reduction from the basic Wealthfront fee of 0.50%. Additional tax efficiency, such as the use of tax efficient funds. Quarterly, scheduled financial planning session with an expert advisor, to help you meet your goals. Priority Airport Lounge access when traveling. The Black Portfolio also comes with VIP airline lounge access to more than 1,000 airport lounges across the country, as well as a Priority Pass membership for you and a traveling companion. If you’re a frequent traveler, this is a nice addon. For investors with $500,000 invested with the Wealthsimple robo-advisor, investors receive all that’s available with Wealthsimple Basic and Black plus more advice, planning, expertise and perks. Like Wealthsimple Black, the management fee is 0.40% of AUM. Individualized investment plans that consider all your assets, not just those invested with Wealthsimple. The plans consider your tax consequences, goals and complete financial picture. Regardless of the plan, all Wealthsimple portfolios receive rebalancing, tax-loss harvesting and Wealthsimple advisors. Rebalancing. Wealthsimple rebalances your portfolio anytime an allocation varies by 20% in either direction. For example, if you have a 10% TIPS bond allocation, rebalancing will take place if that allocation rises to 12%, or falls to 8%. Tax-loss harvesting. Wealthsimple uses this investment strategy in all its portfolios, at no extra charge. Tax-loss harvesting involves selling losing positions, to offset taxable gains in winning positions. It represents a form of tax deferral, outside the confines of a tax-deferred account. The service is of course only available in taxable accounts, since it is of no benefit in tax-sheltered accounts. What ETFs does Wealthsimple Use? The Wealthsimple investment portfolios are constructed from the following 10 ETF’s. Six are stock funds, and four are bond funds. The specific mix of ETF will vary slightly between taxable accounts and the Wealthsimple IRA retirement accounts. For example, retirement accounts won’t include a municipal bond allocation, since it is completely unnecessary. More aggressive portfolios will have greater allocations to stock funds and more conservative portfolios will hold greater percentages of bonds. We like the diverse mix of stock and bond funds, along with the research supported tilt toward value and small cap stock funds. *Halal or Sharia compliant portfolios are all equity and exclude bonds. Investors who want to align their money with their values will like the Wealthsimple SRI investing options. While Muslims or others seeking an all stock portfolio can check out the Wealthsimple Halal investments. iShares MSCI ACWI Low Carbon Target (CRBN) – Low Carbon, comprised of global stocks with a lower carbon exposure than the broader market. PowerShares Cleantech Portfolio (PZD) – Cleantech, comprised of cleantech innovators in the developed world. iShares MSCI KLD 400 Social Index Fund (DSI) – Socially Responsible, comprised of American companies that are socially responsible. SPDR Gender Diversity (SHE) – Gender Diversity, comprised of companies with more gender diversity among their leadership. PowerShares Build America Bond Portfolio (BAB) – Local Initiatives, comprised of bonds issued by municipalities to support local initiatives. iShares GNMA BD ETF (GNMA) – Affordable Housing, comprised of government issued securities that promote affordable housing. Recognizing the growing Muslim population in the US and Canada, Wealthsimple created the Halal Portfolio to invest in companies that are in line with Islamic principles of investing. For example, profiting off debt is prohibited, which leaves bonds out of the investing equation. There is only one version of the portfolio, and it can’t be customized. It is designed as a fully diversified portfolio of stocks that comply with Sharia law, constructed by the expert team at MSCI. The fund invests in 50 individual stocks that have been selected to track the broad market, while complying with Islamic law. It is considered an actively managed portfolio, as opposed to the other portfolios that are comprised entirely of ETFs. Because the portfolio excludes bonds, the Growth allocation is the only option. The Conservative and Balanced options don’t apply. However, they do caution that the portfolio is higher risk, since it’s an all-equity allocation. For this reason, they recommend keeping more of your assets in cash as a diversification strategy. The stock portfolio consists of some of the biggest names in the market, including Johnson & Johnson, Exxon Mobil, Procter & Gamble, SAP, Pfizer, Canon, Unilever, Chevron, Royal Dutch Shell, Alibaba, Merck, DowDuPont, Intel, BP, Broadcom, Starbucks, Union Pacific, FedEx, Eli Lilly, Barrick Gold, Bristol-Myers Squibb, Kraft Heinz and Tesla. The fee structure for the Halal Portfolio matches that of the Basic and Black Portfolios. Wealthsimple Save is perfect for those short-term goals. You don’t want to invest money that you’ll need for your home remodel, summer vacation or emergency stash in the stock and bond markets. That’s because you can’t risk loss with that money. 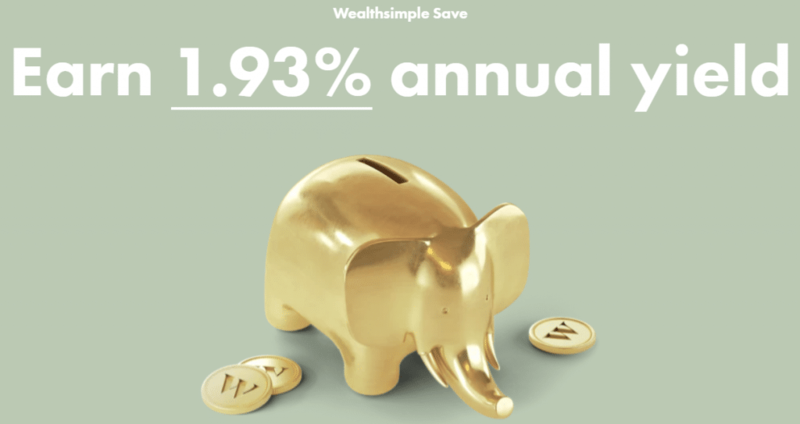 Wealthsimple Save is a high yield account, currently paying close to 2.0%, where you can stash your cash. Then, when your car needs a new battery, you have the cash on hand to cover the cost. And while you wait, Wealthsimple Save is earning a juicy return better than that of most bank savings accounts. Roundup apps are becoming quite popular and for a great reason. The roundup concept is steeped in behavioral psychology. If a smart habit is automatic, and you don’t have think about it, you’ll continue it. And if it’s related to money, then you’ll build more wealth. Roundup takes your spare change and saves or invests it. Buy your dinner at Olive Garden for $21.23 and the Wealthsimple Roundup app will invest or save the $.77 spare change. And, you’re not going to miss it! Before you know it, your spare change is worth thousands of dollars. What are Wealthsimple Fees and Minimum Investment Amounts? So, How much is Wealthsimple anyhow? Wealthsimple like most robo-advisors charges a percent of assets under management in exchange for their services. Robo-advisor fees are typically lower than you’d pay when your portfolio is managed by a typical financial advisor. The Wealthsimple cost for the basic portfolio is 0.50% of assets under management. So, if you have $1,000 invested, then each year you’ll pay a $5.00 management fee. There is no minimum investment amount for the Wealthsimple Basic pvlan. The Wealthsimple Black requires a $100,000 minimum investment amount and charges 0.40% of AUM. So, your $100,000 investment portfolio management fee is $400.00 per year. Wealthsimple Generation requires $500,000 invested. Along with more personalized services, the annual management fee is 0.40% of AUM, comparable to that of Wealthsimple Black. Wealthsimple and most other robo-advisors invest your money in exchange traded funds. These funds have low management expense fees that go directly to the provider. The typical costs are quite low and range from 0.05% for a basic stock index fund to roughly 0.50% for more complicated international index funds. Before investing, it’s helpful to understand that any time you invest money in stock or bond funds, there’s a possibility of losing money. That’s why it’s important to invest only for intermediate and long-term goals. Smart consumers understand that money needed for shorter term goals should be easily accessible in money market funds, bank savings accounts or Wealtlhsimple’s Smart Saver account. That said, over decades, stock funds have returned approximately 9% while bond funds have returned roughly 5%. Your investment returns are determined by how your portfolio is structured, or what percent you invest in each type of fund. The returns of that investment category or asset class will influence your returns. In the Nummo robo-advisor performance data, Wealthsimple earned the top robo- advisor returns for their Growth SRI Portfolio. (review period was December 1, 2017 to December 1, 2018). Yet, I wouldn’t worry too much about comparing robo-advisor returns, because most robo-advisors use low fee index funds and invest your money according to your risk level. It’s best to choose a robo-advisor based on the specific features that are important to you. How to Open a Wealthsimple Account? The entire Wealthsimple sign-up process takes place online and is completed in four simple steps. Complete the online application, which includes answering questions about your previous investment experience. Respond to the risk tolerance questionnaire. E-sign the Investment Management Agreements. Link your bank account(s). A bank verification enables you to fund your account. Is Wealthsimple a Good Investment? No minimum initial investment required, which is perfect for new and small investors. The first $15,000 is managed for free, with sign-up through Robo-Advisor Pros.com – again, a great feature for new and small investors. Socially responsible investing option gives investors the ability invest in what they believe in. The Halal Portfolio provides a portfolio that is constructed and managed consistent with Islamic law. The Wealthsimple Advisor provides human-assisted advice. The opportunity to call, text or email a financial professional for any money related question, is a nice feature. This is a unique feature for robo-advisors that don’t require a minimum investment amount. Tax-loss harvesting is available on all taxable accounts. Other robo-advisors may require a minimum balance before initiating tax-loss harvesting. The basic fee structure of 0.50% is on the higher end in the purely digital robo-advisors space. Although, it’s competitive when comparing this robo-advisor to Ellevest and Betterment’s Premium plans. Betterment Digital and Wealthfront charge just 0.25%, yet lack human financial advisors at this service level. Meanwhile, M1 Finance doesn’t charge management fees and offers access to thousands of investment options. The WisdomTree Japan Hedged Equity Fund (DXJ) seems a bit random. We’re not certain why there’s an allocation to this specific country, albeit a small exposure. Small investors seeking a combined robo-advisor and financial planner service will benefit from the no-minimum required Wealthsimple Basic account. Yet, for investors seeking an all digital robo-advisor, Wealthsimple may have limited appeal. The fee structure is on the high end of the robo-advisor range, particularly with the Basic Portfolio, where the fee is twice as high as other popular competitors. Given that robo-advisors as a group seek to match the performance of the general market through passive investing, it’s hard to justify paying an extra quarter-point for what is essentially the same service. Betterment digital might be a better choice if you’re seeking an all digital platform. Plus, all Betterment users can text with a financial advisor. But, if you want a robo-advisor with financial advisor access, have a larger portfolio, are seeking socially responsible of Halal investments, Wealthsimple is great. The fees are fair, for the products and services that you receive. For many investors, having a human advisor to consult with is very important. Get your first $15,000 managed for free! If you’d like additional information, or if you’d like to sign up for the service, visit the Wealthsimple website and get $15,000 managed for free. This is a special promotion for Robo-Advisor Pros readers only! 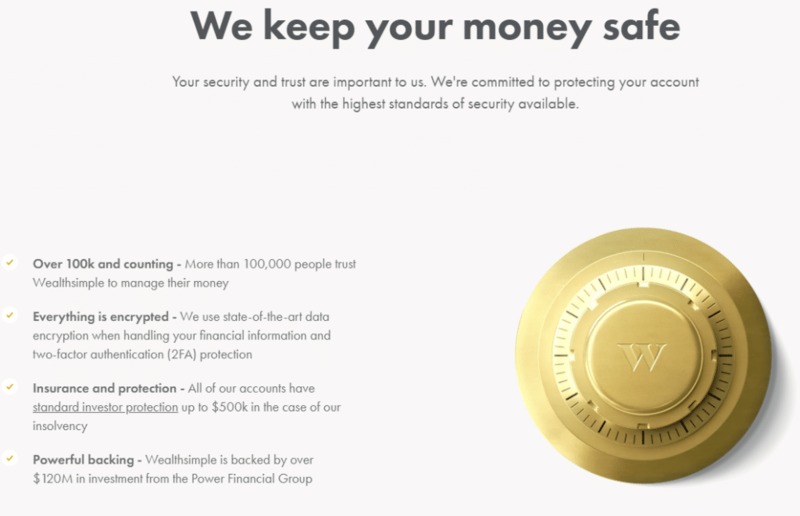 Disclaimer: RoboAdvisorPros.com has entered into a referral and advertising arrangement with Wealthsimple US, LTD and receives compensation when you open an account or for certain qualifying activity which may include clicking links. You will not be charged a fee for this referral and Wealthsimple and RoboAdvisorPros.com are not related entities. It is a requirement to disclose that we earn these fees and also provide you with the latest Wealthsimple ADV brochure so you can learn more about them before opening an account. 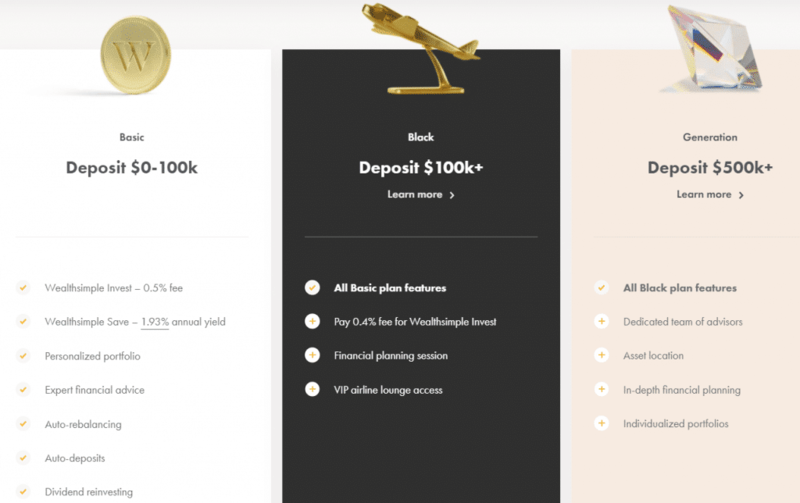 The post Wealthsimple Review 2019 – What is Wealthsimple? appeared first on Robo-Advisor Pros.